In this newly revised and expanded edition, Grant Osborne provides seminary students and working pastors with the full set of tools they need to move from sound exegesis to the development of biblical and systematic theologies and to the preparation of sound, biblical sermons. 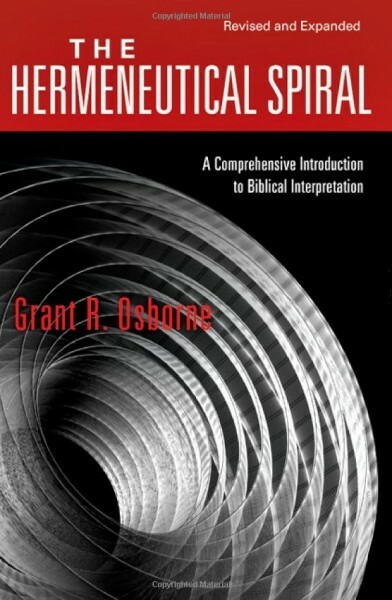 Osborne contends that hermeneutics is a spiral from text to context--a movement between the horizon of the text and the horizon of the reader that spirals nearer and nearer toward the intended meaning of the text and its significance for today. Well-established as the standard evangelical work in the field since its first publication in 1991, The Hermeneutical Spiral has been updated to meet the needs of a new generation of students and pastors. General revisions have been made throughout, new chapters have been added on Old Testament law and the use of the Old Testament in the New, and the bibliography has been thoroughly updated. A 1993 Christianity Today Critics' Choice Award winner in theology and biblical studies.